If she loves trinkets and it's your anniversary here's the perfect gift. 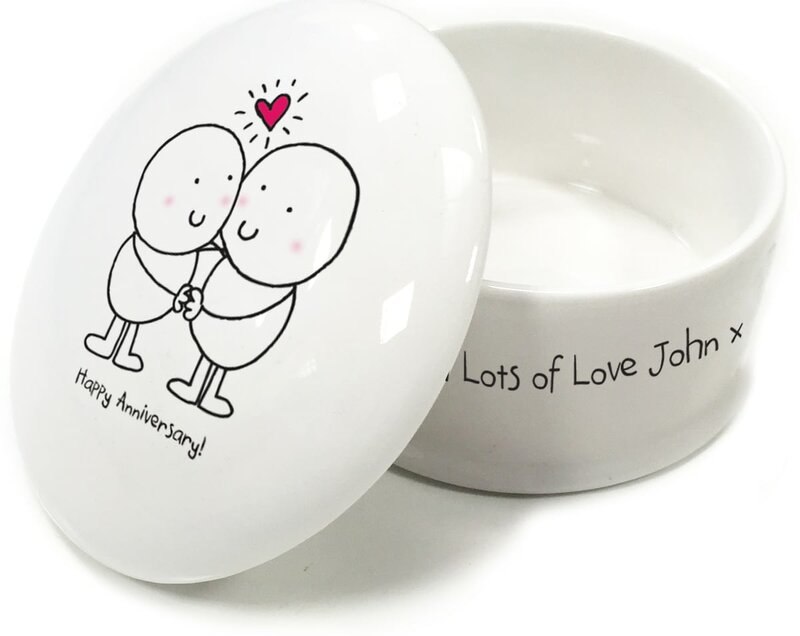 The lovely Chilli and Bubbles characters act lovey-dovey on the lid and your personal message is wrapped around the base of this cute trinket box. Now she has a place to keep all the knickknacks she's collected so far. 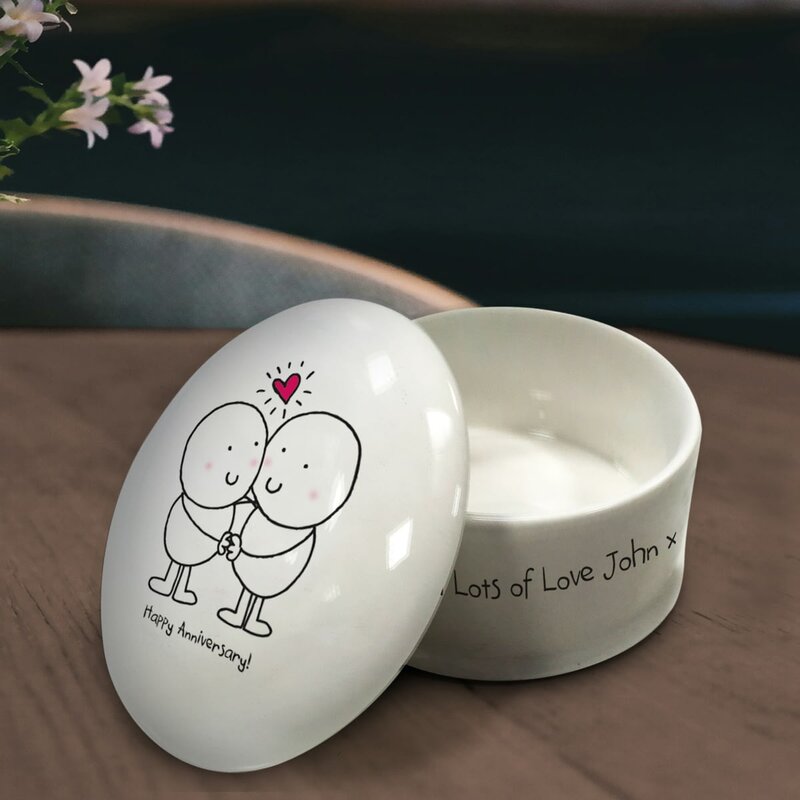 With 'Happy Anniversary' also included on the lid this gift is sure to be cherished for the rest of your life together. Stars and sparkles are the perfect way to congratulate a special someone, and with this trinket box you can celebrate in style. It's your birthday, eat cake and keep your precious trinkets in this cute lil box. Chilli and Bubbles have their own little one who’s getting christened, and we have their little image on this bespoke china trinket box. Finally a place to put all her little trinkets. Students can collect all sorts of bits and bobs throughout uni life. Give them a place to keep them whilst also showing how proud you are. Cheeky Chilli is here to wish someone a happy retirement and give them a cute little keepsake for all their trinkets. This Chilli and Bubbles chappie wears a leaving sash and is printed onto the top of this cute trinket box making the perfect leaving gift for someone special. Now she has a diamond adorning her left hand she doesn't need other jewellery. Give her somewhere to put her old rings with this thoughtfully cute trinket box.